Macrocarpa is one of the most naturally durable softwoods grown in New Zealand. 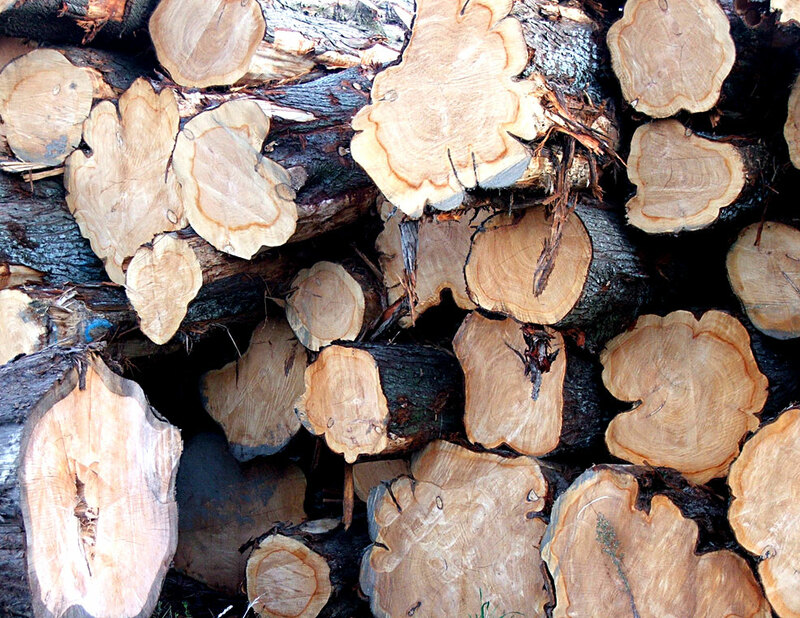 It is resistant to insect attack once sawn and dry. No chemical treatment is required. Macrocarpa is a very stable aesthetic timber with little to no movement once well dried. It machines particularly well and sands to a fine finish. The best of the grains are enhanced by oils and resins. Macrocarpa is a medium to low density softwood(485kg/m3 at 12% moisture). It has a small sapwood band, the heartwood varying in colour from a reddy brown to a golden honey colour or a pale cream. The heartwood is rated moderately durable which under trials by the Forest Research Institute a 50mm x 50mm stake lasted 10-15 yrs in the ground. Outside, above the ground durability is similar to H3 treated pine. Inside where timber is not exposed to the elements it will last virtually indefinitely. Macrocarpa has common properties based on open grown trees- big, old,scruffy sprawling, flat topped, twisted, rugged, fluted and branchy. Few New Zealanders realise Macrocarpa is a tree with the potential to produce large volumes of naturally durable, quality timber. Macrocarpa clears are very similar to kauri in colour and character with a natural lustre and often remarked about pleasant scent.